The newest IGBT 650 V soft-switching IH series has been developed using an advanced proprietary trench gate field-stop structure, whose performance is optimized both in conduction and switching losses for soft commutation. 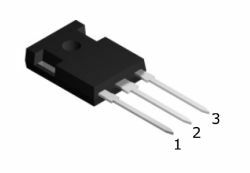 A freewheeling diode with a low drop forward voltage is included. The result is a product specifically designed to maximize efficiency for any resonant and soft-switching applications.